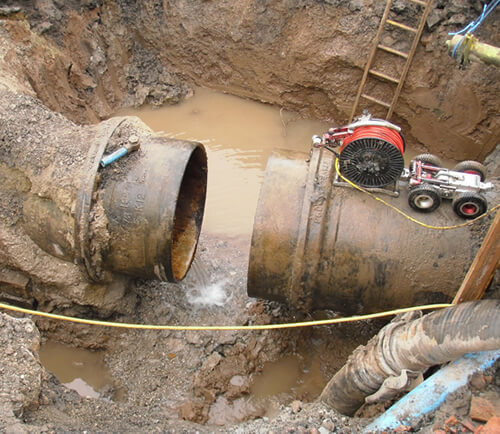 For over 20 years, PMP have installed AMEX-10 seals and has proven to be the most cost effective repair solution for pipeline joint leakage repair where safe man access can be achieved. AMEX-10 benefits include it’s versatility. It is a no dig solution which eliminates the need for invasive access from the surface which could cause further problems to the affected pipeline and its foundations. AMEX-10 provides a permanent seal which will not rot, rust or corrode. It has been independently tested and proven to be safe for use with potable water, sewage, chemicals and gases.